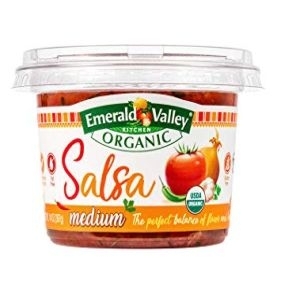 Emerald Valley Kitchen Organic Medium Heat Salsa, 14oz. Our most popular salsa - with the perfect balance of flavor and heat in every bite. Everyone will be happy with this salsa!